Philadelphia's safe streets initiative got a boost Wednesday with a $1.6 million grant that will include money to make Roosevelt Boulevard safer, city officials said. The grant will pay for improvements to the Boulevard's intersections at Summerdale Avenue and Adams Avenue, city officials said. Adams in particular is a dangerous intersection. From 2012 to 2016, there were 63 crashes there, killing five people and seriously injuring two. The city plans to tighten the turn from the northbound Boulevard onto Adams' eastbound lanes, causing traffic to slow. The intersection will receive new traffic signals, too, officials said. Roosevelt Boulevard is considered a major focal point of the city's Vision Zero initiative, which aims to eliminate traffic-related deaths in Philadelphia by 2030, and street re-engineering is considered a powerful tool to slow down vehicles. The road represents half of 1 percent of all roads in the city but accounts for 12 percent of crashes. "These projects advance the city's commitment to expanding safe and accessible transportation options for all Philadelphians," said Mayor Kenney in a statement. Roosevelt Boulevard is so deadly because it routes dense, relatively high-speed traffic through residential neighborhoods and business districts. The 12-lane divided road carries about 90,000 vehicles a day. Philadelphia has about 100 traffic-related fatalities each year, and 10 percent happen on the Boulevard, city officials have said. Of nine fatal crashes on the road last year, seven involved pedestrians. Less than two weeks ago, on Feb. 5, a woman was killed when she was hit by a car while walking on the Boulevard at Large Street. 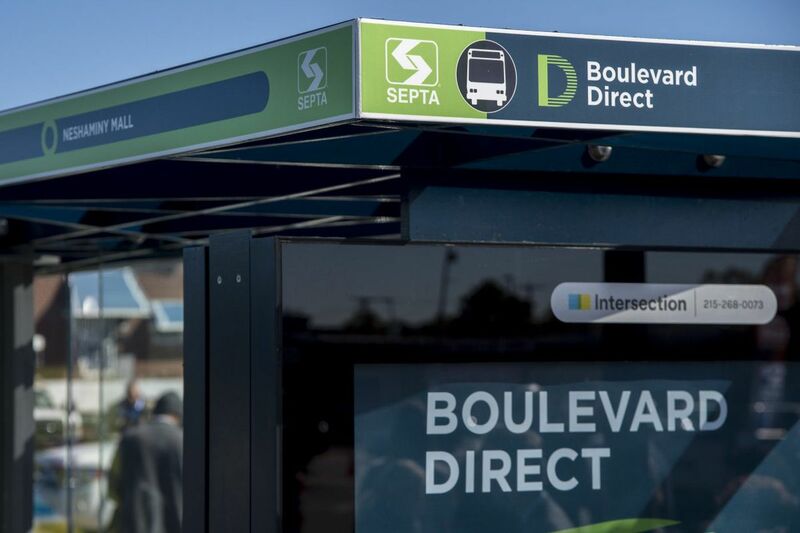 SEPTA unveiled a new express bus route on the road last year, which in part was designed to divert some people from their cars to public transportation. More than one-third of the city's 134 red-light cameras are at intersections on the Boulevard. And the city is hoping the Pennsylvania legislature will pass a bill legalizing speed cameras this year. If that passes, it would allow for the installation of up to nine cameras on 12 miles of the Boulevard that would record any vehicles traveling more than 11 mph over the speed limit. The grant, through the state's multimodal transportation fund, also will pay for expansion of the Indego bike share program. The grant will pay for bike docking stations at transit hubs in the city. The stations likely won't open until 2019, city officials said, and the locations had not yet been determined. Indego, which launched in 2015, currently has more than 100 stations throughout Philadelphia. The state grant is a boost to the Vision Zero program, which has been a central issue for the Kenney administration but will need a significant amount of funding to achieve its goals. The Streets Department's $23 million 2018 fiscal year budget includes $1 million for Vision Zero safety measures, city officials have said. While there are 2,500 miles of streets in the city, officials are focusing on a high injury network of about 12 percent of the roads, which they say account for 50 percent of the serious injuries and deaths. The grant was among 45 in 22 counties issued by PennDot. Other Philadelphia projects included work at the Philadelphia Museum of Art and the Schuylkill River Trail Bartram's Mile. Other local award-winners include: $2 million for road widening on Route 663 and a bridge replacement project at Maple Beach Road in Bristol, Bucks County; more than $4 million for road improvements in Oxford, Phoenixville, and New Garden, along with a connector road and pedestrian and cycling path along Route 202 in Chester County; more than $1 million for new roads, traffic signals and other improvements to Route 3 and I-476, including intersections with Lawrence Road and Langford Road, and a sign improvement plan in Media; and $6.3 million to improve street safety at Gwynedd Mercy University, and make road improvements in Lower Providence, Lower Gwynedd, and Horsham in Montgomery County.